Investment $70 or $15 each time. FIT yoga is a beginner to advanced class for participants not comfortable with hot yoga & or need options to choose for their protection & safety. Hatha & Namate, soma yoga & structural integration are taught. These methods assists in limbering up all joints, improving oxygen levels with conscious breathing techniques, releasing tension in muscles with a variety of yoga asanas sequences. This class is progressive with many options to choose from making this class specific to your challenging needs. If you have never tried yoga, have many injuries or other chronic conditions this is the perfect class for you. Experience total body balance, posture & alignment restored and much more. Learn yoga techniques you can use in daily life. WHERE: Lakehead University Hangar, Studio Rm, 955 Oliver Rd. 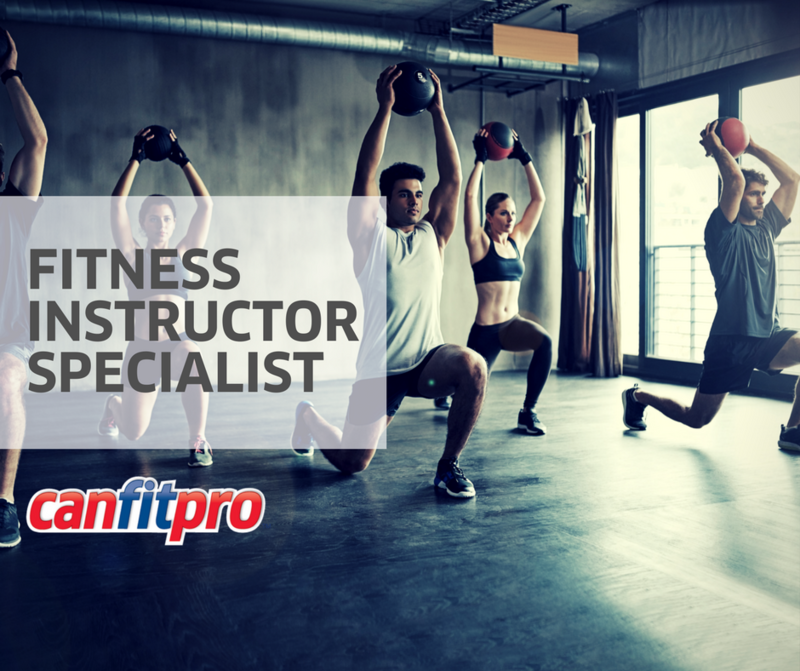 Group Fitness Instructors, Personal Trainers, any professional working in the industry. 1:00 – 2:30 #005 “"Get Up & Swing: Programing the Kettlebell Swing and Turkish Get Up into a group fitness setting". Most of our clients are short on time these days, so it’s no surprise that high-intensity interval training (HIIT) is one of the top 5 fitness trends of the year (again). The challenge is that HIIT classes can be unnecessarily tough on the body if not taught or performed properly. Learn how to teach safe HIIT classes that utilize all intensity variables and get your clients results with the new HIIT Certificate Program (earn up to 9 CECs)! Early bird registration is now available for canfitpro world fitness expo. Register today to experience the world’s largest, best and most affordable fitness event! Choose from hundreds of leading-edge fitness education sessions in personal training, group fitness, mind-body, nutrition, active aging, club business, and more! Renew your CPR, professional membership, and earn all of the CECs required to maintain your certifications in one weekend! Bodyweight exercises need to be part of your program if you want to get jacked. But not just pushups, sit ups and high rep calisthenics. That’s beginner stuff that won’t build any real muscle. We’re talking about really working hard on high tension, advanced bodyweight exercises that can only be done for somewhere between five and twelve reps, on average. I have listed belowwith my take on them as a women - see link for more https://www.onnit.com/academy/top-20-bodyweight-exercises-for-building-muscle-strength/?a_aid=holdfastiron&fhs=getonnit" target="_blank">details of each exercise. 1) Chin/ Pull Up - women are not as strong upper body many unable to do. 4) Front Lever Did not describe the exercise not sure what to do. Yoga is a strengthening exercise that can also have calming and relaxing benefits. While Yoga is just that for many of our clients….it isn’t that way for all of them. Here is a question I received from one of my clients and my response. I thought this info would be helpful for you and your clients! childspose When first developing your muscular strength and endurance, your ability to hold many of these poses for very long will be limited. While the instructor may be cueing you to hold the pose for five or more breaths, your body may be at its limit at one or two breaths. It’s extremely important that you listen to your body and remember this – you know your body better than anyone. There’s a big difference between challenging yourself and pushing past your current limits. Find your point of challenge and then when you’ve had enough, move into a recovery pose like Child’s Pose. It will allow the opportunity for your muscles to relax and relieve some of the tension in your wrists. When you’re ready, you can join in again. After time, you’ll notice you can hold the poses for more breaths before finding it necessary to take a break. plank downdog cobra - If your instructor is 5 foot nothing and 100 pounds when soaking wet, it’s no wonder they can hold the poses for what seems like an eternity. The heavier you are, the harder the poses. So for a woman who is 120 pounds, holding a pose for 5 breaths, might be equivalent in intensity to a woman who is 160 pounds holding a pose for 2 breaths. It’s all relative. That goes for height as well. The taller you are, the longer your load and therefore the harder the poses. If you are heavier and taller, either hold your poses for shorter periods of time or look for ways to decrease the load on your muscles and joints. For example, for Plank, perform the pose from your knees versus your toes. For Downward Dog, bend your knees more. For Upward Dog/Cobra – allow your thighs to lightly rest on the floor. Each of the poses G.D. referred to above, put his wrists in a very extended position. Depending on joint structure (the size of your wrists, the way the bones align), some people have more issues than others. The good news is that each of the poses above can be done from an elbows position versus a wrist position which many people find a lot more comfortable. Remember Yoga is all about the Mind/Body balance and it’s hard to find that balance when you’re fighting against your body. Listen to your body, progress gradually and celebrate the beauty of your uniqueness and your individual strengths”. Summer is ending and the kids are headed back to school. On the one hand if you’re a parent, summer is a great time to see kids being kids—running, playing, swimming and enjoying the outdoors. On the other hand, it can be a pretty demanding job to keep kids entertained. As kids head back to school, keep up the summer fun by packing them with ParticipACTION’s six backpack must-haves for active play. The bonus is, regular exercise will improve academic performance, reduce stress and help to build social skills. What better way to set them up for success? At this time of year, it’s easy for parents to get overwhelmed by all the tips and tricks for how to set up their children for success in the coming school year. What books should they be reading? What stationery do they need? What time should they go to sleep? The list goes on and on. But one of the best things you can do to encourage your child’s academic success, reduce their stress, build their social skills and confidence is actually super simple – encourage regular exercise! Sports teams and activities are part of the equation, but you really need to give kids the chance to be active throughout the school day in every way possible—playing at recess and lunch, walking or wheeling to and from school, making up their own fun and letting off steam. Your child’s backpack, if packed with all the right things, is the perfect opportunity for you to encourage more spontaneous, outdoor activity. Let your kids log the total amount of steps they take in a day and make a game out of getting healthy. You might be surprised by how excited they get about reaching their step goal each day. 63 percent of kids’ free time is spent being sedentary, so send kids to school with something to encourage spontaneous, active games with friends. Having a ball on hand can mean the difference between playing a game with friends rather than staring at a screen. This one will inevitably generate some discussion as some schools don’t allow cell phones on campus whatsoever. But, many parents worry about the safety of their kids and a phone can help you stay in contact while your child walks, wheels or plays outside with friends. Don’t have a phone, or don’t want one? Send them out with a buddy or have them call when they get home. Weather is one barrier to active play, so make sure your child is ready for anything by packing a good jacket. I don’t know about you, but some of my favourite memories as a kid involved playing in the rain. Kids need a sun hat and sunscreen in order to protect them from the rays. Make sure your children are prepared to take full advantage of the sun without having to worry about a nasty burn. Did you know that 58 per cent of parents say their kids are always driven to and from school? Active travelers get as much as 45 additional minutes of moderate to vigorous physical activity per day. Wheeling or walking to and from school will quickly add up to a healthier lifestyle. As a parent, I sometimes feel like I’m in possession of a beautiful secret—that physical activity will give my kids success and joy in every area of their lives, more than almost anything else I can give them. Active kids have better concentration. More fun. Better social skills. Less anxiety and depression. More confidence. What more could you want for your child this school year? Encourage them to be more active and everything else will follow.